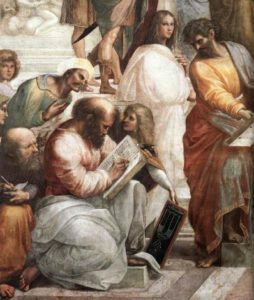 Aristotle (384-322) studied many fields like philosophy and the natural sciences. Among other things, he studied the movement. He thought that the natural place of the air is up and the water was down. Although his theory is not sustainable today, it was a great advancement during that time. Ibn-Sina (980-1037), an Arabic scholar and travel writer, dealt with natural sciences. At a time when the science stagnated in the Middle Ages, he made a major contribution to the theory of movement. 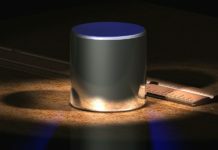 He studied mechanical, thermal, and light phenomena. 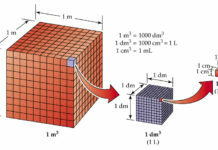 He wrote about the concept of force, the concept of volume, and the concept of infinity. He criticized Aristotle’s teaching, advocating the theory that the bodies will always move in a vacuum. 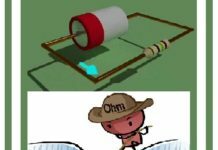 He is the predecessor of the notion of inertia. Galileo Galileo was born in Pisa in 1564. He studied medicine, which he never completed. He dedicated his whole life to the science of physics and astronomy. In 1592, when he was 26 years old, he moved from his native Pisa to Venice where he was appointed professor of mathematics at one of the leading Italian universities. 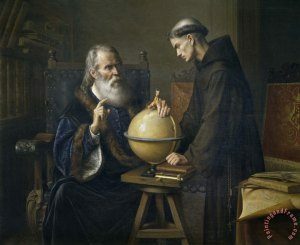 Galileo was not a scholar who dealt exclusively with theory, and he also contributed greatly to his practical discoveries. 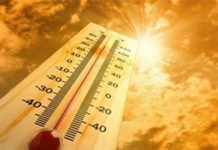 He invented a thermometer for the measurement of liquid propagation, a hydrostatic balance for determining the density of the body (based on Archimedes laws). 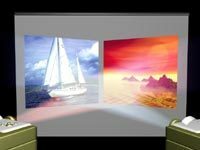 By combination of the theory and the experiment, Galileo proved an equally accelerated motion and expressed it in mathematical form. He used the smooth leaning board for this experiment. 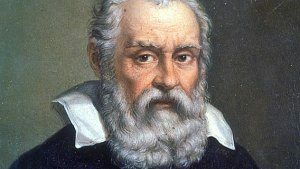 Galileo discovered the law of inertia. First, Galileo started to overturn Aristotle’s law of gravity. Aristotle claimed that the pellets were falling to the ground at a rate proportional to their mass, but Galileo proved that Aristotle’s claim is not true. 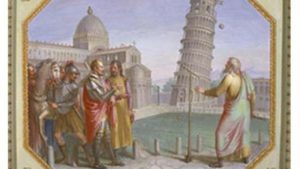 In fact, there is a story that Galileo used to throw things from the top of the famous leaning tower in Pisa in order to prove to the crowd that Aristotle was wrong, but this story was generally not considered to be true. 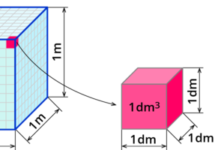 In fact, Galileo did an experiment in which in analogy with the tower, measured the speed of the body after measuring the mass. He dropped two bodies of the same dimensions and different masses, down the steep slopes. 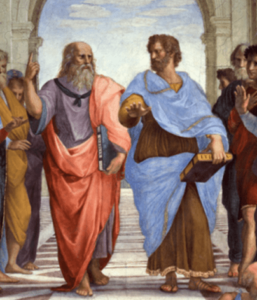 The results were devastating for Aristotle. Galileo also set the equations of horizontal and slanted trajectory, as well as the free fall. 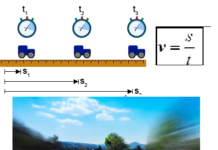 He was to the first to experimentally calculate the intensity of the acceleration of the gravitational force. In 1609 he heard about the primitive durbine, who arrived from the North to Venice. 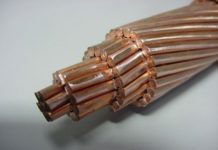 The increase in these durbin was very small, only three times, but that was enough to give Galileo an idea of how to make much more powerful instruments. He managed to make a durbin with an increase of 10 times, by which it is possible to see ships of two hours of sailing. 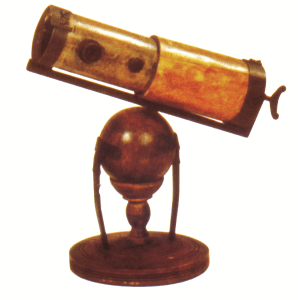 In addition, Galileo realized that the durbin could turn to the sky, and that is when the first telescope wa sformed. 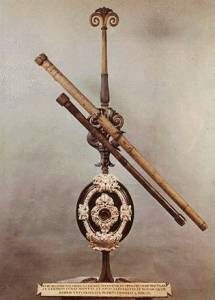 Using this primitive telescope Galileo managed to discover Jupiter’s satellites. The discovery of these satellites sparked the idea that not everything must revolve around the Earth, as Aristotle considered. He realized that Aristotle had made a mistake and that Copernicus was right, and he he was able to prove it. Because of this idea, Galileo came into conflict with the Church and the Inquisition. 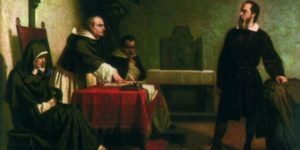 He was forced to publicly renounce his teachings and thus saved himself from the fate of Giordano Bruno and burning at the stake. He was able to save his life, but not freedom, and he spent the rest of his life in house arrest. During that time he came to the most significant scientific discoveries that put him amongst the giants of world scientific history. He died in 1642. 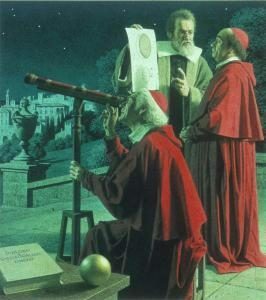 Exactly 350 years later, in 1992, the Vatican publicly apologized for the way they dealt with Galileo. Isaac Newton was born on a farm in England in 1642. Young Isaac liked to experiment with many things. Once he made a small toy – a mill, which could turn wheat into flour. At the time, mills were moved either by oxen and donkeys, and Isak’s mill was being moved by the mouse! He also made a wooden watch that worked using water as fuel. Isak’s uncle noticed that the boy was very bright and he thought he should invest further into education. Fortunately, the family had enough money to send Isak to study. He first started studying chemistry, but then he became interested in mathematics. He read Euclid’s Elements, which he thought were too easy for him. Then he read Descartes’ Geometry (Descartes was a scientist and mathematician who died approximately at a time when Isaac was born). The Geometry was much more difficult for him. Then he read the works of several other famous mathematicians. The old nations believed that the Earth is flat and each of them had different visions of it. 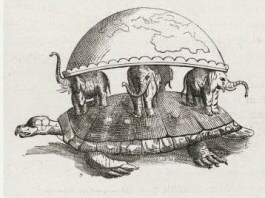 The Indians imagined that the Earth had been laid on four elephants, and that they were standing on one turtle standing on one snake that was moving in one opaque ocean. 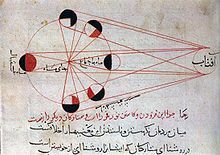 Al-Biruni was not only an astronomer and mathematician, but he also studied physics, geography, and many other sciences. He traveled several times in India for scientific research, where he studied Indian language. He was also known as the first Islamic scholar to study Indian religion and philosophy. In the field of astronomy he has done a lot. 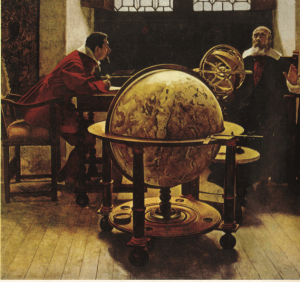 He discussed the rotation of the Earth and the movement of the planets in space. He claimed that the planets are moving, but this claim was only later recognized, and it was long after his death. He calculated the distance between some of the stars. He designed the eclipse, and the he used Moon’s eclipse to calculate the difference in the lengths on the the Earth. 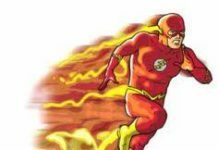 This way, he accurately calculated the distance between two places in today’s Iran. 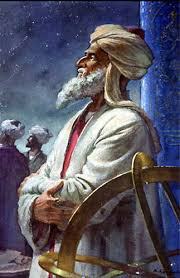 Al-Biruni, born in 973 in a country that is now known as Uzbekistan, was the first person to officially point out the existence of an undiscovered land at the ocean between Europe and Asia. Although Al-Biruni made the claim about the existence of America at the beginning of the eleventh century, he himself has never seen the America’s continent. He, by his incomparable expertise for geography and mapping, came to the conclusion that the world they knew back then, which is stretching from the west coast of Europe and Africa to the eastern coast of Asia, actually makes up only two fifths of the total area of the world. 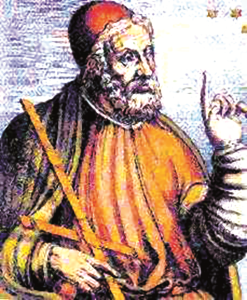 Claudius Ptolemy (2nd Century) from Alexandria, the last of the great Hellenic astronomers. He collected all the previous astronomical knowledge and published it in his capital work The Great Collection of Astronomy. 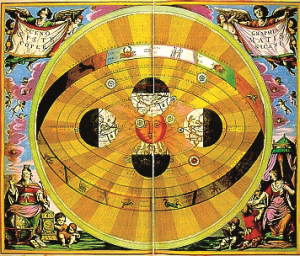 In the Book of Ptolemy, he accepted the geocentric system, saying that the stars were hooked up to the heavenly sphere, that the Earth was at its center, and that the Sun and planets (the so-called wanderers) circle around the Earth. Nikola Copernicus (1473-1543), a Polish priest and astronomer, considered nature to function in the simplest way possible. He realized that the entire Ptolemaic view of the world would have been simpler if the Sun was placed at the center instead of the Earth. 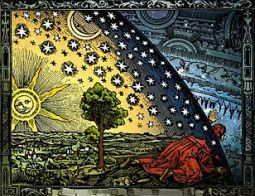 He published this thesis in 1543 in his capital work De Revolutionibus Orbium Caelestium (On the Movements of the Celestial Worlds). Copernicus knew that such teaching was contrary to the Church’s teaching, and probably because of this he devoted his work to the Pope. In the next 70 years the book was freely read, causing sympathy, acceptance and rejection. And in 1616, the book was banned. The decision that the ban was lifted came in the XIX century.